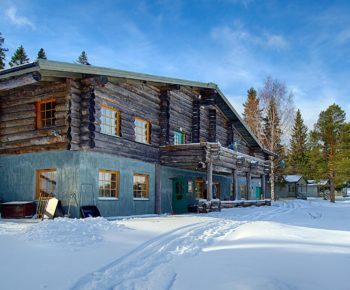 Sápmi Nature Camp is located just outside Gällivare. In many ways, it’s a completely different world, a place to go if you want to change a little. Sápmi Nature Camp in Gällivare, north of the Arctic Circle and in the middle of Swedish Lapland, has been the goal of my trip north for a while now. 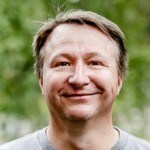 Lennart Pittja meets me there with a welcoming smile and a traditional Sámi drinking cup, kåsa, with hot boiled coffee and coffee cheese. — Welcome to Sápmi, he says. — Thank you, I reply, it wasn’t that difficult to get here. — Yes, it’s not too hard to find. Now that you’re here I hope you’re in the mood for something different to what you’re used to. 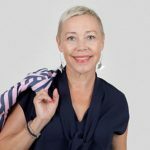 The idea is for you to learn a lot of new things about Sámi culture, and along the way perhaps something about yourself too. 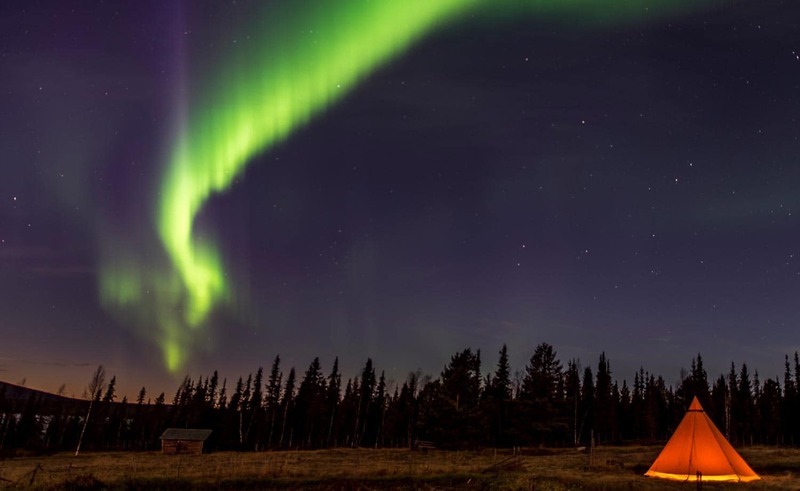 Sápmi Nature Camp is located on the border of the Laponia World Heritage site. It’s a small establishment with a great story to tell. I’ve been a bit nervous about coming here in the middle of the Arctic winter with several degrees below zero. I’m meant to spend a couple of days at this glamping site with no electricity or running water. At night, I’ll sleep in a tent. Ok, it’s a Sámi tent with a wooden floor, a stove and proper beds, but still: a tent. It’s going to be exciting. Learning more about Sápmi and Sámi culture is something I’ve dreamt of for a long time. Now I’m here, in the heart of Sápmi, and in a way my insecurities feel very strange, even unnecessary. 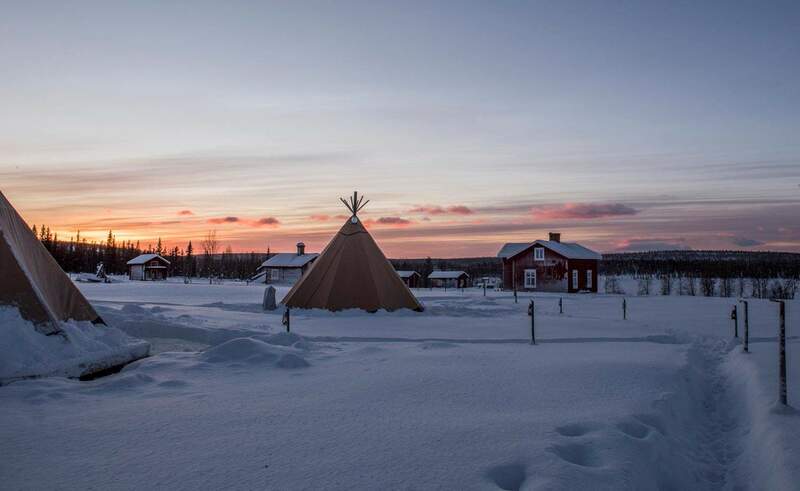 The Sámi and other indigenous people have lived alongside nature, in tents, for thousands of years. Their living conditions were a lot tougher than the ones I’m going to experience. The photos Lennart sent me beforehand convinced me that it was going to be a great experience. Northern lights and proper winter. Comfortable accommodation with a kind of safari-feel that I’ve only experienced before in the Masai Mara. 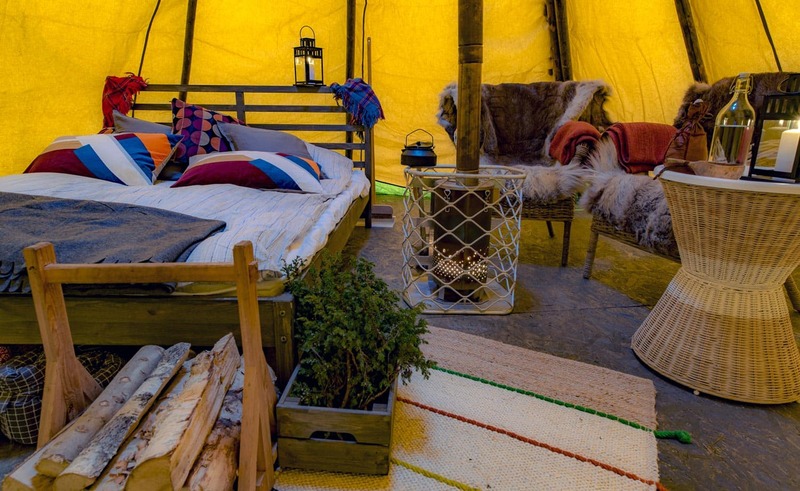 A kind of Arctic-style glamping. My ‘room’ awaits and Lennart helps me with the bag. Around the tent, there’s plenty of snow and in the background, the trees in the forest are powdered with white. It feels unreal and completely natural at the same time. When I enter my ‘room’ any doubts about comfort disappear. Inside, there’s a fire going in the stove. It’s warm and cosy. Apart from two stoves to keep the tent warm, it’s dominated by a large bed. There are a seating area and a small gas-powered combustion toilet. The light comes from the stove and kerosene lamps, when not provided by shooting stars and the northern lights outside, of course. Sápmi Nature Camp really is in the middle of nature. Last time I stayed in a place that felt so wild and beautiful was in the African savannah. Nothing could be further away, and still, it’s similar. I very much like the idea Lennart has brought to life by building a ‘hotel’ without affecting the landscape. When the campsite closes he removes the Sámi tents and leaves no trace behind. 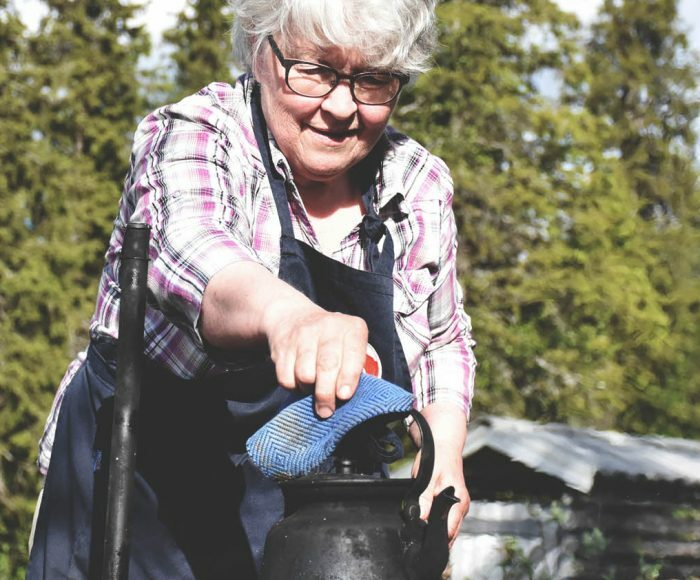 This is sustainability in practice, according to many years of Sámi tradition. In the candle glow and light from the fire crackling in the fireplace, we eat. The starter is marinated grouse; the main course is fish caught by Lennart’s brother in a mountain lake, then smoked by Lennart himself before dinner. We finish with a cloudberry tiramisu. The food is made from products that are produced locally, or by the Pittja family themselves. 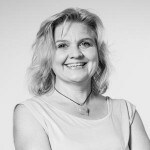 We talk about Sápmi and Sámi life. Lennart tells us about a cultural landscape that is slowly changing. Nature here is reindeer country. A place where the Sámi have gently harvested a natural pantry filled with animals, berries, herbs, water and firewood for thousands of years. Everything has a story. Every peak, lake and marsh has a Sámi name that tells you about the location itself. There are no visible old ruins but that doesn’t mean it’s never been inhabited. – Many call this a wilderness. But this is Sápmi – the land of the Sámi. We’ve lived here for thousands of year and this is anything but a wilderness. This is actually my own ‘backyard’, he says, laughing a little. – Calling this a wilderness is to obscure my culture, my family and my ancestors. We’ve lived in this area since ancient times, even if we haven’t left any traces. After dinner, we try out warm winter clothes to use during our stay. Shoes and snowmobile overall, hat and gloves, so we can spend time outdoors without being cold. Actually, I get to use them straight away. As we step outside after dinner, the sky is clear. I wonder if I’ve ever seen so many stars at the same time. 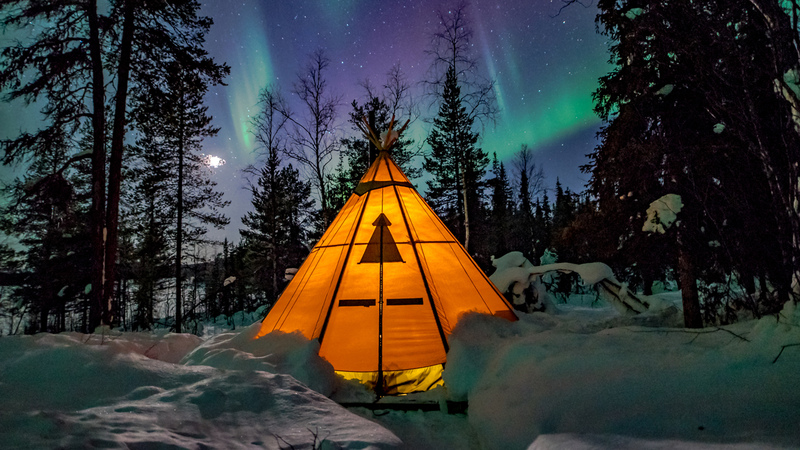 Above the tents the northern lights are dancing as well, filling me with warmth and joy. A dream come true. Sápmi Nature stands for small-scale, considerate and informative tourism. 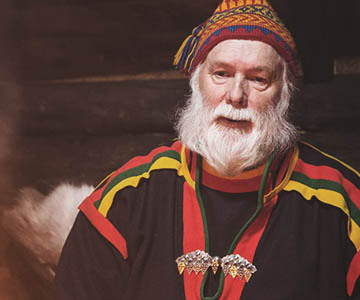 Lennart Pittja wants Sápmi Nature to be an example of how sustainability can be achieved without depleting natural resources and causing disruption of life in the north. See sapminature.se for more information. The next morning we put skis on and go on a tour. We see tracks made by grouse, elk, reindeer and fox. In a way this stay is filled with contrasts: the camp has no electricity and running water, still it’s filled with a lovely warmth that makes me feel safe; there is no wifi and still, I feel connected – but to life. 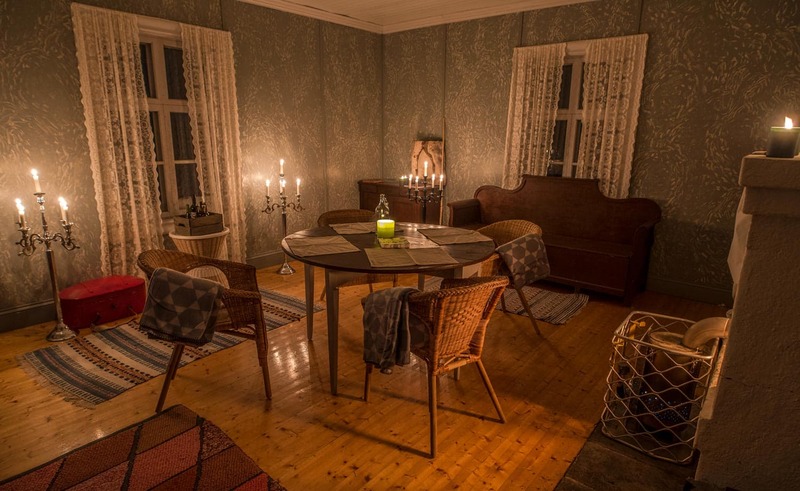 Sápmi is woven into stories about food, nature and light. Because Arctic light is much more than the northern lights. During our ski tour, the sky is painted in the most exquisite pastel shades of blue and purple. It’s like travelling through a grand work of art, I think, as we return towards camp and the wood-fired sauna. 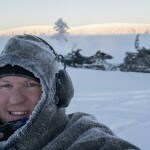 Sápmi Nature Camp is to get close. Close to nature, with all its impressions. But also close to Sámi culture. Suddenly I feel strangely at home here in Sápmi. I should definitely stay longer.